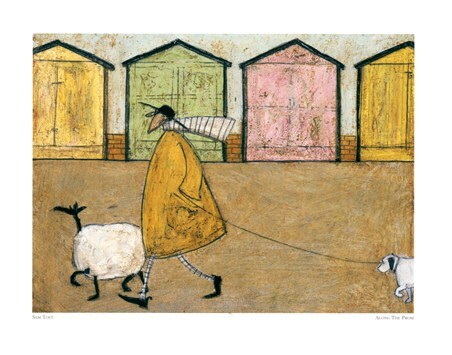 This charming print has been lovingly illustrated by English artist Sam Toft. 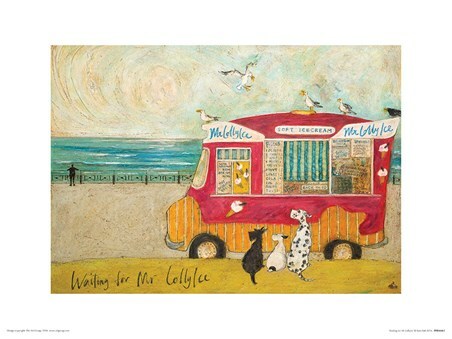 Sam - who has said "I thank my lucky stars for what I do, I make my living from drawing a whole bunch of my imaginary friends", has imagined some quite amazing pieces of work in her 12 years of being an artist. 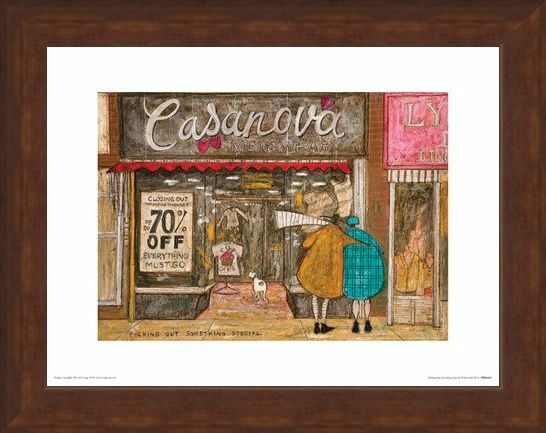 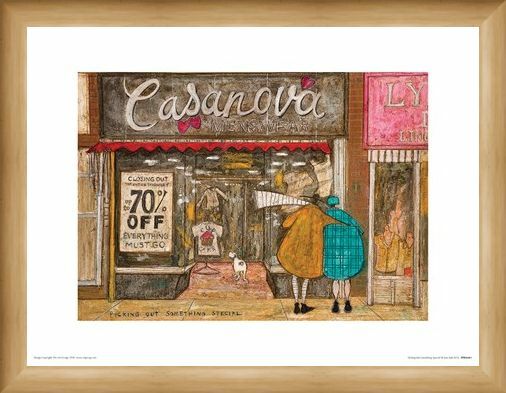 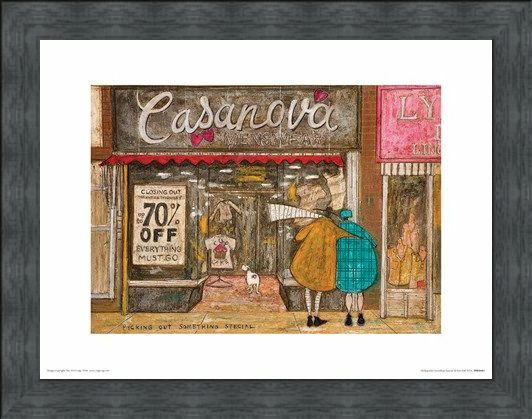 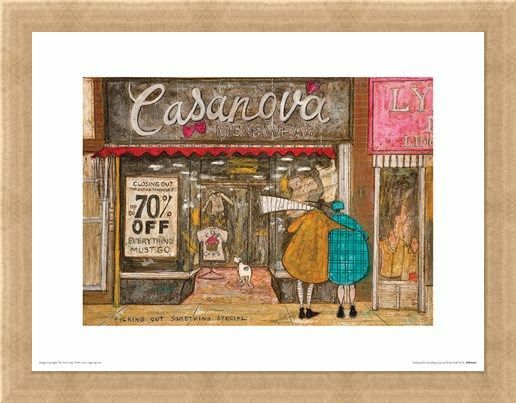 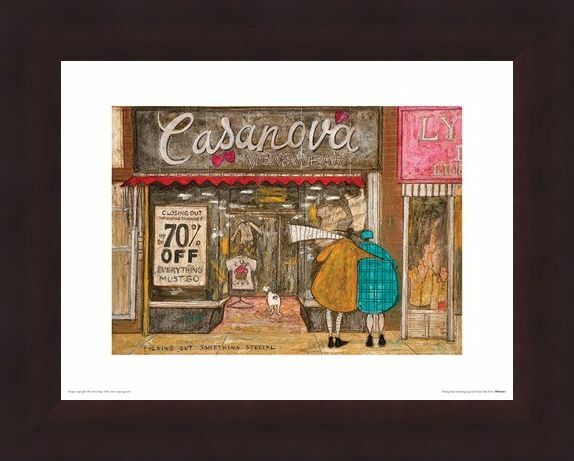 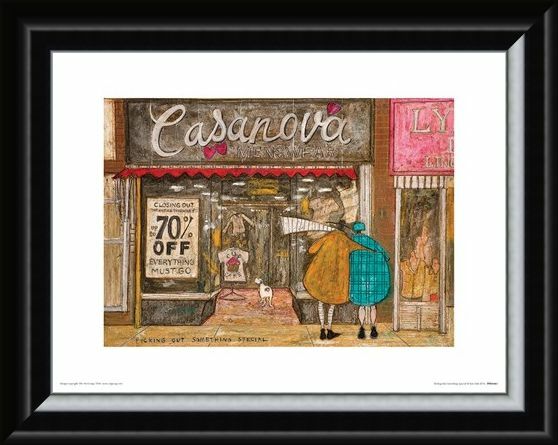 In this stunning print Mr Mustard loving holds his wife Violet as they gaze into shop windows, as the look to 'pick out something special'. 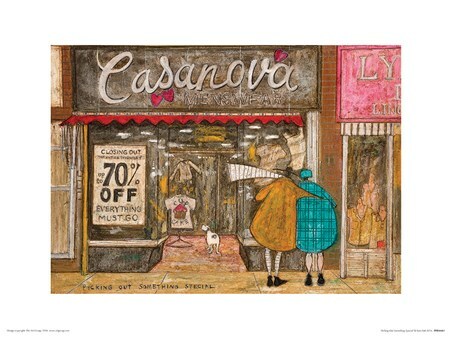 As always Doris the dog is not too far away as she too peers thought he shop window. 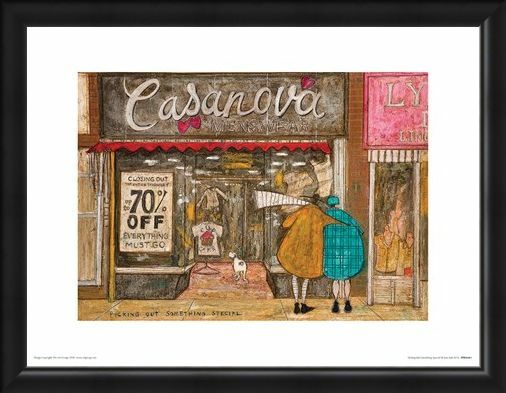 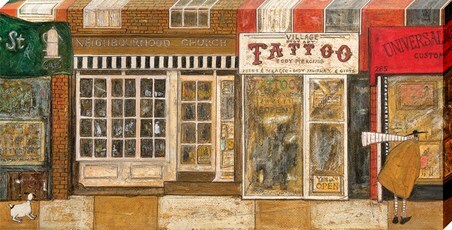 This illustrated love story is one that many of us can relate to, making this such a warming addition to anyone's home. 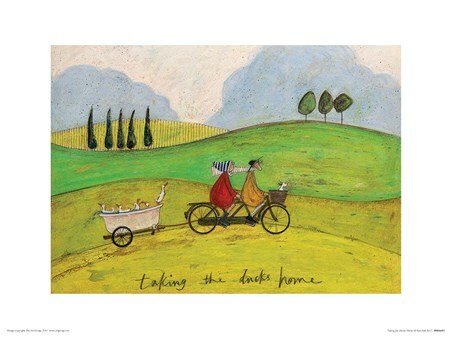 High quality, framed Picking Out Something Special, Sam Toft print with a bespoke frame by our custom framing service.